James Rhio O’Connor lengthened his life after being diagnosed with mesothelioma – a rare cancer associated with asbestos exposure – because he sought his own truth. He did not believe his Doctors just because of their degrees, nor that he would succumb to his mortality as quickly as the statistics claimed. He did not lean on the ancient books or divine origins to bring him peace or comfort. 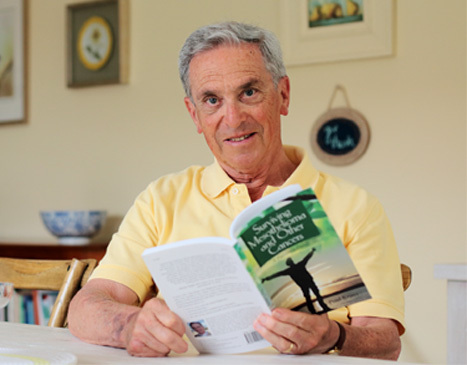 He looked for an answer he could live with, knowing he contributed to his personal health and well being and in the long run contributed to the knowledge and inspiration of future cancer sufferers. Strength to move forward into the storm as Rhio did, does not come without effort. While looking back on his story it is easy to imagine him having a special quality that not everyone possesses. Knowing that Rhio researched intensively and helped create his own care plan makes it easy to picture him hopping down from the examining table, determination etched into the lines around his eyes and mouth. “Thanks, Doc. But no thanks, I’m going to prove the stats wrong.” I imagine a much fuller image than this one. I can feel his heart tighten in his chest as he sits feet dangling, arms pressing down into the table at his sides causing his shoulders to hunch. I see his mind race from the gate like the words “you have cancer” were a pistol shot. Go! “Cancer, me, no. What? But I take care of myself… Incurable…Poor prognosis…. You mean, I’m going to…. I can’t, I’m not….” As heroic as his efforts were, as successful his results, this human aspect is inevitable and I believe integral to the process that eventually lengthened his life. From this image it is my belief that his humanness is an untold beacon illuminating the truth that the strength is within each of us. Rhio exercised informed consent regarding his illness and treatment. Informed consent is an issue that spans across the range of medical issues and into social realms as well. Knowledge is the single most powerful tool to aid you in navigating a complex world of rules and regulations. James Rhio O’Connor knew that despite his lack of knowledge regarding the rare type of cancer he had. His journey was to understand his illness and treatment options in order to make educated choices alongside his clinician’s recommendations. I am a strong believer in second opinions and personal choice based on your research and beliefs. I have four children, three of whom were born at home when I exercised my rights to choose the medical treatments that I was willing and unwilling to subject myself, and my children to. With Rhio as an example before me, I would attempt to do the same if I found myself in his situation. I use and promote holistic modalities of care and would first seek out advice from professionals in fields such as homeopathy, herbalism, acupuncture, and naturopathy. I would also perform a great deal of Internet research on the disease, options for treatment, side effects and success rates of available treatments. 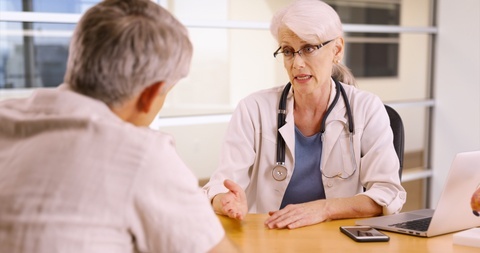 It can be intimidating to make your own choices when confronted with a life-threatening illness, and downright scary to go against your physician’s wishes, or against the accepted norms of treatment. It is essential that people like Rhio serve as examples to others who will face the same challenges and never before realized that they do have a choice in their treatment. I believe Rhio had a support system around him of family and friends that encouraged his search for the best options available. That support system in the form of family or small community groups are a catapult to alternative life and healthcare options. If I were seeking alternative care for a terminal illness, it would be highly beneficial for me to have a support group and others personal experiences to learn from. I am active in a local chapter of the national group Birth Network that promotes Mother’s choice in birthing options. It is exciting and rewarding to meet women who are anxious to make the best decisions regarding the health of their unborn baby, and to see their eyes change from scared to happy when they realize they aren’t alone. I believe community is our strongest asset as human beings, that without we suffer tremendously. People who have gone through life are yearning to share and make their experience worth more than just a lesson to themselves. Others faced immediately with life’s challenges can use the camaraderie and guidance of their elders. If there were not local groups to support the issues I faced, I would be a part of creating them, or would contribute and get involved in existing groups. The final factor that is of great importance when dealing with any health issue is self-awareness. Rhio either had a great deal of self-awareness already or he cultivated it during his battle with mesothelioma. As a Pilates instructor, I guide others in gaining body awareness using proper mechanics and focusing on specific components of an exercise. It enables clients to use their bodies properly during every day activities and to notice if an instance occurs that they are using poor mechanics. I believe Rhio paid close attention to what was normal for him, so he could gain a deep understanding of each treatment and how it truly affected him. The journey of self-awareness is an ongoing one. If I were faced with a disease, I would have to learn my new normal, so I could recognize when something was amiss. James Rhio O’Connor’s story is a great one. His research and self-determination are inspiring. It is my belief that there are many other untold aspects of his story, similar to those I’ve created above. As individuals, each of our stories will vary, but a common thread weaves us all together. We all want to live a full life, to be valuable and to leave something behind when we go. Rhio definitely left a mark on the world, and will serve as an inspiration for generations to come.